The impact, if any, of the snag on the timing of the completion of the overall project — now set for the end of 2022 — is not known. The MTA’s delay-plagued East Side Access megaproject to link the Long Island Rail Road to Grand Central Terminal has encountered yet another snag, as a plan to transition to a new signal system is expected to take longer than originally scheduled, officials said. MTA chief development officer Janno Lieber has advised the Metropolitan Transportation Authority’s LIRR Committee that the East Side Access project team is “struggling with the news” from the LIRR’s signal workers that it will take longer than anticipated to test a new state-of-the-art signal system being installed at the busy Harold Interlocking train junction in Queens. The testing was set to take place over this spring and be completed by May. The impact, if any, of the snag on the completion of the overall project — now set for the end of 2022 — is not known; Lieber said the agency is looking into how to keep things on track. East Side Access aims to transform commutes for tens of thousands of Long Islanders by providing an alternative to Penn Station on the West Side of Manhattan and reducing trip lengths by as much as 40 minutes a day. But the project has been plagued by delays and cost overruns since it was proposed in the 1990s with a budget of $4.3 billion and a targeted completion date of 2009. That cost estimate has more than doubled and the target completion date has been pushed back 13 years. Currently, East Side Access is budgeted at $10.2 billion and projected to be completed by December 2022. MTA officials are expected to provide a more detailed update next month on the project’s budget and timeline. Lieber said falling behind on testing the new signal system creates “additional schedule risk” for the entire project because of the need to coordinate all work with Amtrak, which is carrying out unrelated construction near the massive Harold junction and is needed to assist in the East Side Access effort. Christopher Natale, general chairman of the Brotherhood of Railroad Signalmen, Local 56, which represents LIRR signal workers, took issue with MTA officials attributing the latest delays to them. 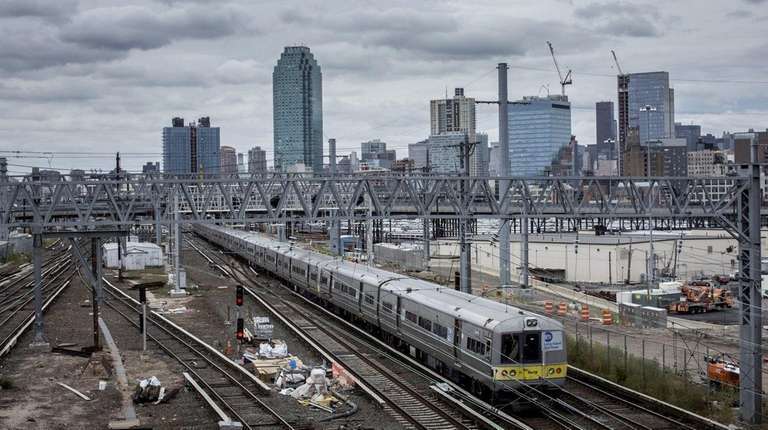 LIRR outlines ‘performance improvement plan’The president of the beleaguered Long Island Rail Road outlined an extensive plan to reverse the agency's recent service woes. Editorial: MTA stuck in its old waysExhibit A: The LIRR's never-ending East Side Access megaproject.